This theme contains custom tabs and help boxes features (the CMB2 plugin is required for these features). How to Create Tabs and Help Boxes? You can create unlimited custom tabs and helb boxes. Create a product and scroll down below the product content area. Click on the “Tabs” or “Help boxes” line to open the area and fill all forms. 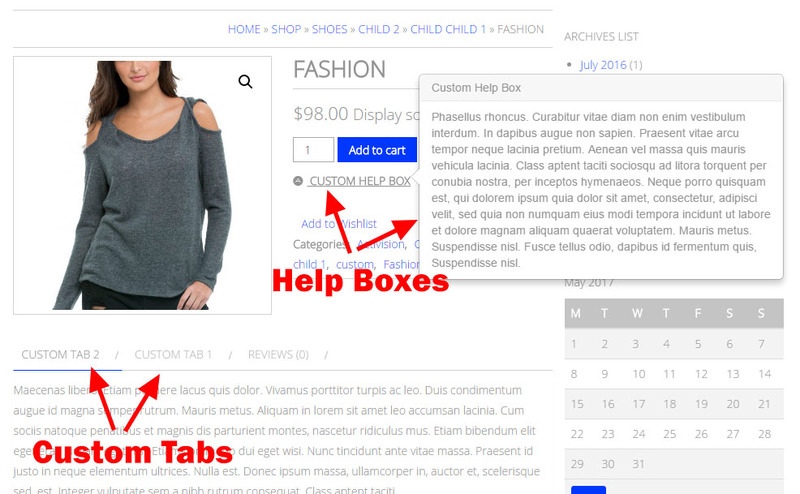 If you create custom tab and set the priority 9 or lower, it will be displayed first (before product description). If you set priorty 15, it will be displayed between description and product attributes (reviews).